So quickly coming straight to the point, we will explore the following salient points regarding this Bitcoin fork so that we all can benefit from it in a safe and secure way. When Is The Fork Happening? Why Is The Fork Happening? What do you need to do to benefit from it? Super Bitcoin is the new upcoming Bitcoin hard fork of original Bitcoin which will launch at Block Height of 498888 of the main chain. Super Bitcoin is abbreviated as SBTC as of now and is dubbing itself with the motto of “Make Bitcoin Great Again”. It seems like a friendly fork because they have not mentioned explicitly that they want to compete with BTC but of course they are doing it to make the new version a lot better than BTC. All new things they are doing will explained further in the post. According to their official website, Super Bitcoin was supposed to fork from the original Bitcoin Blockchain on December 17, 2017 but it looks like it will happen before that. The new timeline and date of the Super Bitcoin fork is December 15, 2017 at a block height of 498888, according to the latest announcement by one of their team member on medium. But we think it is going to happen even sooner than that. Probably December 12/13 according to your time zone because of the increased mining speed. So the best thing is to ignore the date and track the block height 498888 at which the fork will happen. The fork is happening to “Make Bitcoin Great Again” as they have stated on their official website. The creators of Super Bitcoin believe that over the last three years, Bitcoin has failed to scale and has lost a tremendous share of the cryptocurrency market given aggressive competition coming from the likes of Ethereum and Zcash. They want to fork the Bitcoin and make Super Bitcoin with better features by implementing the proposals recommended by the bitcoin community for the original Bitcoin project. In short, Super Bitcoin aims to solve the original problems of BTC with this fork. Super Bitcoin aims to achieve this by implementing 4 core features into the Super Bitcoin’s blockchain. 1. Smart Contracts – Unlike the original BTC, SuperBTC will be able to support smart contracts just like ETH. 2. Lightning network – It is way faster than the original BTC after which no one no longer needs to wait ages for transactions to occur. 3. Zero Knowledge Proof – This tech will allow one to hide their wallet address when performing transactions. 4. Bigger Block Size – This will allow more scalability on the chain itself for the coins to thrive. Li Xiao Lai, world-famous bitcoin and cryptocurrency investor. Jia Peng Lin, founder of LinkVc and co-founder of Sosobtc. Ranger Shi, the first Turing complete smart contract writer. The 210,000 pre-mined tokens will be managed by the Super BTC Foundation and are mainly used to encourage early developers, invest in the super BTC ecosystem and ensure the operation of the Super BTC Foundation. 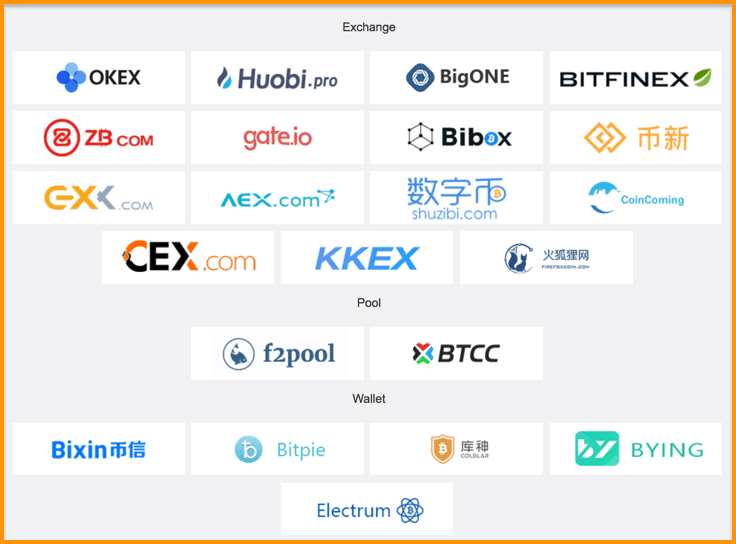 The list of wallets and exchanges that they have featured on their website is quite huge but we are not sure if these services are officially supporting them. Out of the above-mentioned services, we only trust Bitfinex for now and are further investigating if we can find some official announcement by these services on supporting Super Bitcoin. Note: We do not recommend these as of now because your security is our priority. Seems like they have replay protection in place so I don’t think you need to worry. Moreover, this again is like Bitcoin Gold, Bitcoin Diamond and Bitcoin Cash hard forks where you will get free airdropped cryptocurrencies and I don’t think this new altcoin should be a worry for anyone. Moreover, you will be getting Super Bitcoin [SBTC] in 1 BTC: 1 SBTC ratio which is free money and free money is always good. As I mentioned earlier, you need to just track the Bitcoin Block height till 498888. Keep your Bitcoin private keys with you, not on a third party exchange like Coinbase. Use hardware wallets like the Ledger Nano S and Trezor. Last time, during the Bitcoin Cash & Bitcoin Gold fork, these two hardware wallets were the first to support the forked coin. If you don’t have a hardware wallet, use software wallets like Mycelium, Jaxx, Coinomi, and Exodus to control your private keys. You can also use a paper wallet or brain wallet. If you hold your keys in a paper wallet or software wallet, wait for instructions on how to access your SBTC coins. You can keep your BTC on an SBTC supported exchange also if you need quick access to your SBTC but this is highly risky and not recommended from us. If you do, please do it at your own risk. Bitcoin forking will be an everyday thing in the coming days. So it is very important that we learn that how to benefit as well protect ourselves from such forks. The benefit in terms of claiming these free coins and protection, in terms of safeguarding ourselves from scam wallets and services that usually mushroom during a Bitcoin fork hype. We have already seen a lot of people losing a lot of money because they don’t take proper precautions while claiming these forked coins in their greed and ultimately end up losing their Bitcoin too. Moreover, after reading the technical specs of the Super Bitcoin, my thoughts were whether we really need so much scaling when the cryptosphere is such a small place in front of gigantic financial markets. Also, implementations like Zero-knowledge proofs, bigger blocks, smart contracts via RSK and lightning networks require highly technical skills to be implemented which I don’t think they can implement given the size of their team. That’s why it will interesting to see how they go about fulfilling their promises and how much time do they take. Only time will tell if it is simply an FUD or really a serious project to implement so many scaling solutions all at once. Irrespective, let’s focus on claiming these coins first because of its free Bitcoin dividends and we will see what to do with them. Click this logo below to download your wallet OS version.